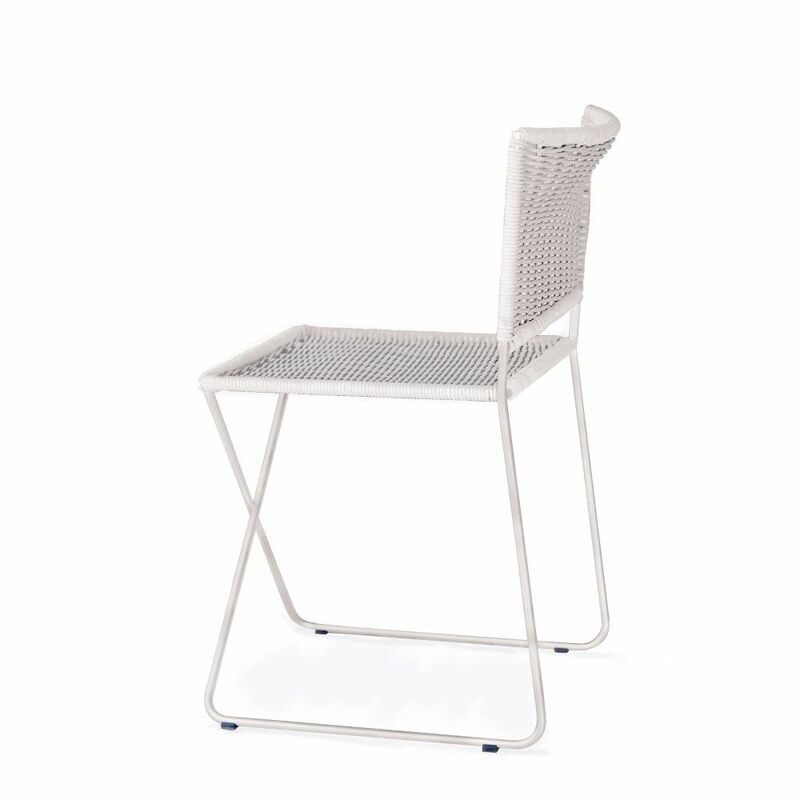 A metal-framed chair with a white or natural wicker seat and backrest which is easily movable and stackable. Its arrangement, which largely involves a continuous rod, means that the only space taken up is the actual chair size, with no other protrusions from its four edges. The backrest, straight at the bottom and curved at the top, supports the back and gives protection to the kidneys, allowing for extensive periods of comfy seating. At the front, under the seat, the metal bar is arranged in the shape of an X, bearing the user’s weight structurally as the frame flexes. The founder of the Associate Designers studio in Barcelona and president of FAD, Ramón Bigas is a key figure from the second generation of Barcelona designers who are intuitive and festive, without failing to be serious and pragmatic at the same time. His chair is an excellent fusion of virtues for indoor and outdoor settings.